Last weekend Sydney City Council had the official opening of the new Town Hall replete in solar panel splendour. 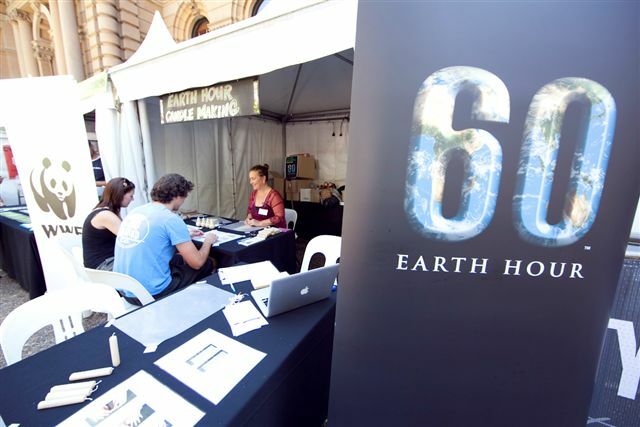 As part of the celebrations, the Live Green House was on location as were volunteers from the WWF Earth Hour team. We were approached to ask if we could send along someone to teach beeswax candle-rolling. With over 20,000 candles rolled, we sent in Ade (bung knee and all) and from all accounts it was very popular. Earth Hour is traditionally one of our busier times of year thanks to the ‘naturally carbon neutral’ status of pure beeswax candles (according to the organisers themselves). Of course it makes sense that pure beeswax, made by bees to store honey WOULD be more earth friendly than petro-chemical candles (paraffin) or hydrogenated/bleached soya oil or palm oil candles. Then again, based on our sales, about 99.99999% of people are turning off their lights and lighting environmentally damaging (not to mention the damage to your health) candles. For more information on the toxicity of candles, read our post on the article I wrote for Living Wisdom. 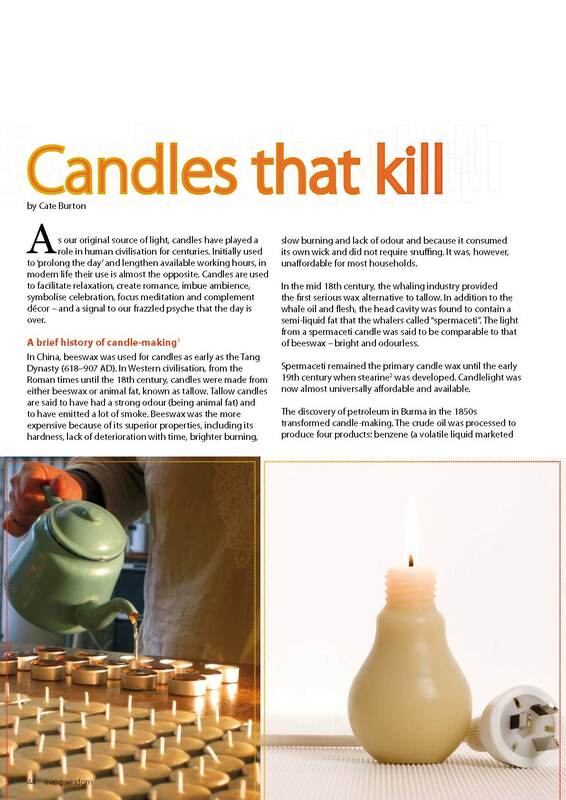 A few months ago I was approached by Living Wisdom magazine to write an article about the toxicity of candles. Agreeing to write the article represented an opportunity for me to share some of the research that influenced my decision to only make 100% pure beeswax candles at Queen B. Given the financial challenges involved with running a business making pure beeswax candles – ie beeswax costs 20 – 50 times the price of paraffin, soy or palm wax – it is not a decision made lightly. It is, however, a decision made after extensive research. With only 1500 words, it is necessarily a summary, but nevertheless, it is a starting point for anyone who wants to know more about the toxicity of candles. Unfortunately on the other side of this debate are the petroleum refining companies who sell paraffin, and the billion dollar soy and palm industries. I know that in penning this article I may be getting some people offside. Having said that, I think that everyone has a right to make their own decision… to have research at their fingertips and to make an informed decision. This article also briefly touches on metal core wicks – and why we choose to only use 100% pure cotton wicks at Queen B – and fragranced/scented candles – and why we don’t scent Queen B candles. To read the article, go to http://www.queenb.com.au/candles-that-kill.php. Please feel free to post your feedback below.